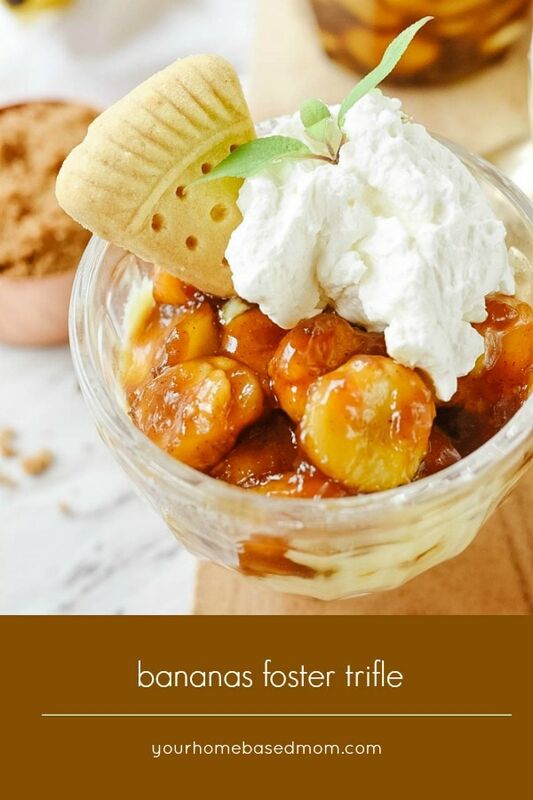 Bananas Foster Trifle is a delicious dessert that has layers of goodness. 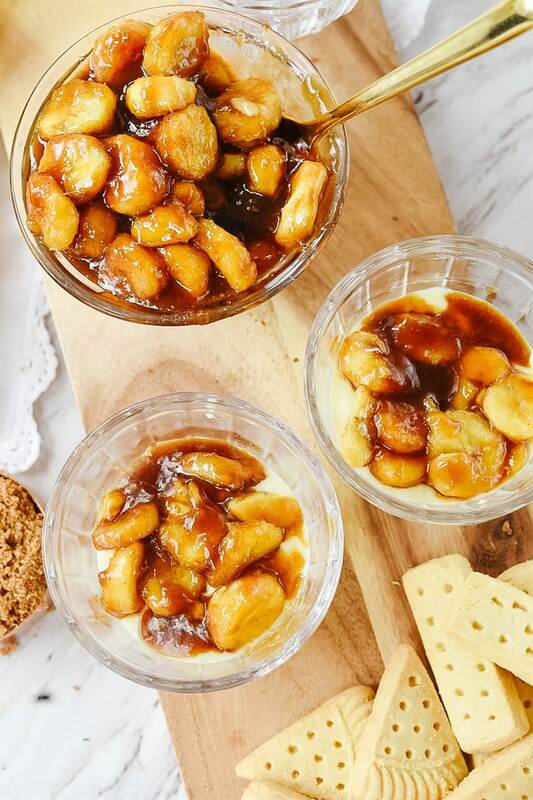 A shortbread cookie layer is topped with custard and delicious Bananas Foster sauce! This post is sponsored by Walkers Shortbread but all opinions are my own. 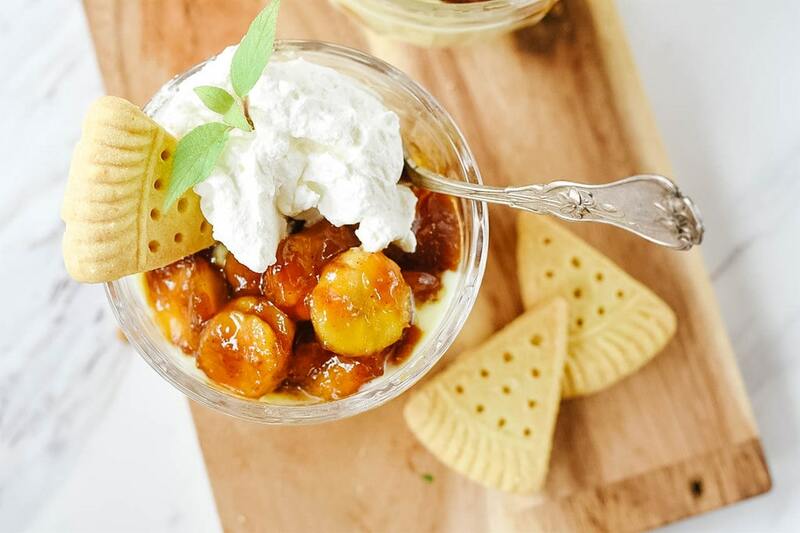 This recipe for Bananas Foster Trifle is a fun and delicious twist on a traditional trifle. I remember my mother making an English trifle when I was a child. A pretty layered dessert in a bowl specifically made for trifle, usually a large, deep, round, clear glass bowl that the pretty layers of the trifle showed through. I don’t own a trifle bowl and my guess is most people don’t. English Trifle is traditionally made with fruit, a thin layer of sponge fingers or pound cake soaked in sherry or rum and custard. 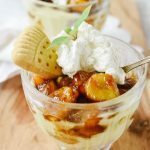 Today I am sharing a Bananas Foster Trifle which is a combination of English trifle and Bananas Foster, a fun twist on two classic desserts. Bananas Foster is an American dessert that originated in New Orleans and is often made table side and flambeed. We’re not going to be setting anything on fire here though! Bananas Foster is a combination of bananas covered in cooked butter and brown sugar. Pretty much heaven! Alcohol is often added and then it is set on fire – thus the flambe! It is most often served over ice cream or as a crepe filling. 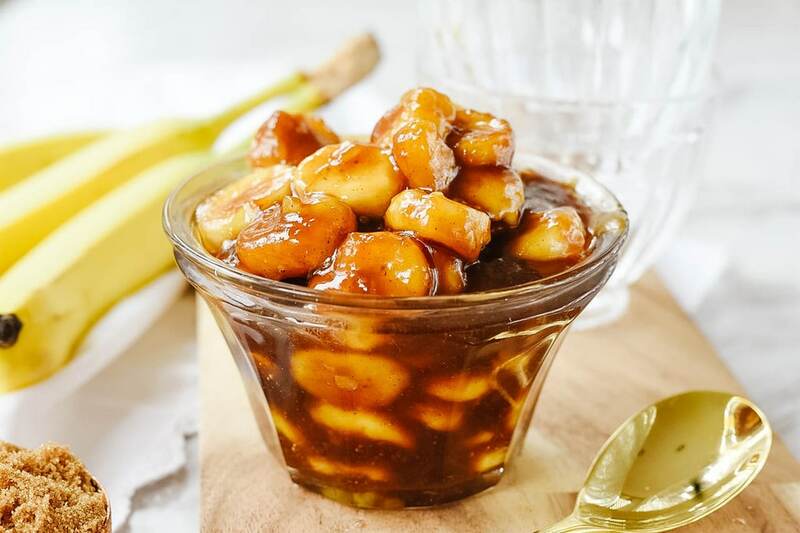 Today though, we are going to use the delicious Bananas Foster sauce to make Bananas Foster Trifle! Instead of the traditional sherry and berries we are going to layer our trifle with the Bananas Foster sauce. 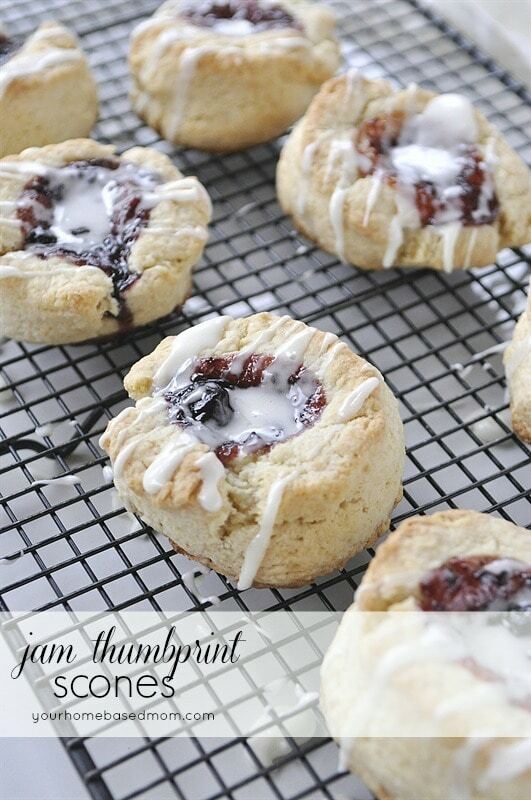 Instead of pound cake we are going to use delicious, buttery Walkers Shortbread cookies. I used their Assorted Shortbread pack so I had a variety of shapes and sizes. Walkers is my favorite brand of shortbread. 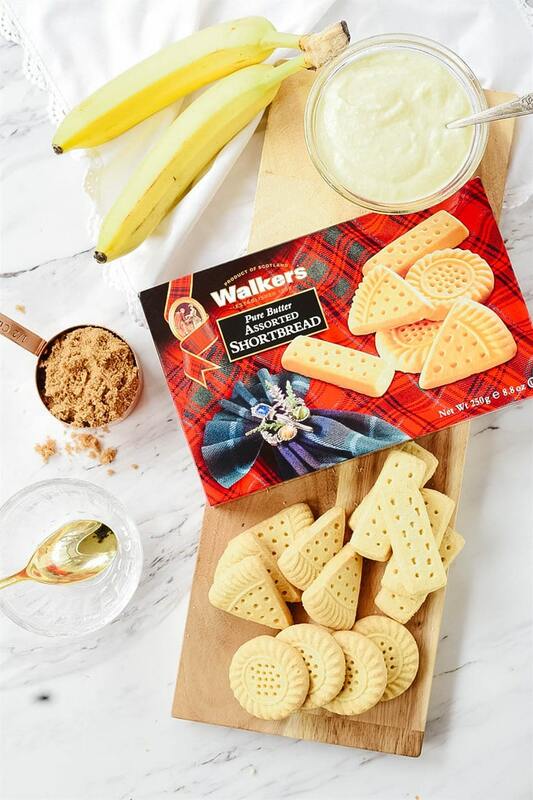 Made in Scotland, Walker’s Shortbread maintains its traditional shortbread recipe made with four simple and natural ingredients, including, flour, sugar, salt and 100% pure butter! First, you need to pick your container. I decided to go with individual servings of Bananas Foster Trifle and the round shortbread cookies were the perfect fit for my dessert dishes. The next essential ingredient of trifle is custard. I made my custard from scratch with the recipe below, a traditional English custard. 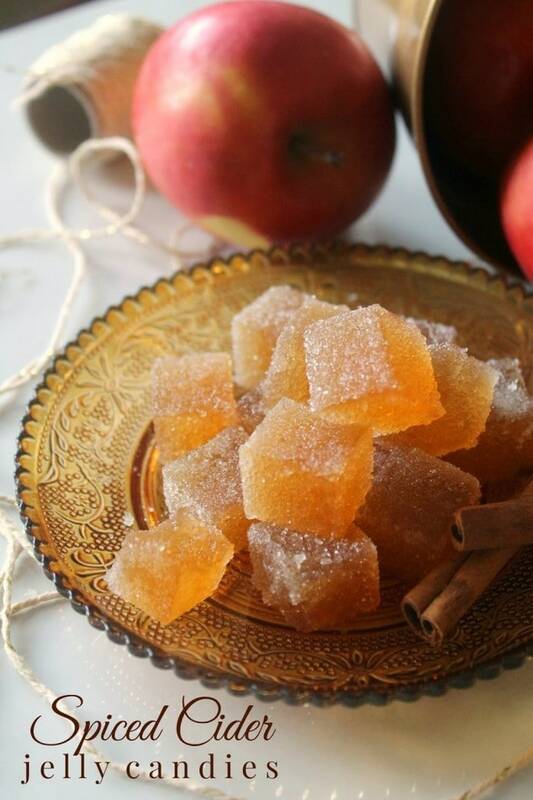 You can also use vanilla pudding but pudding is much sweeter than custard. 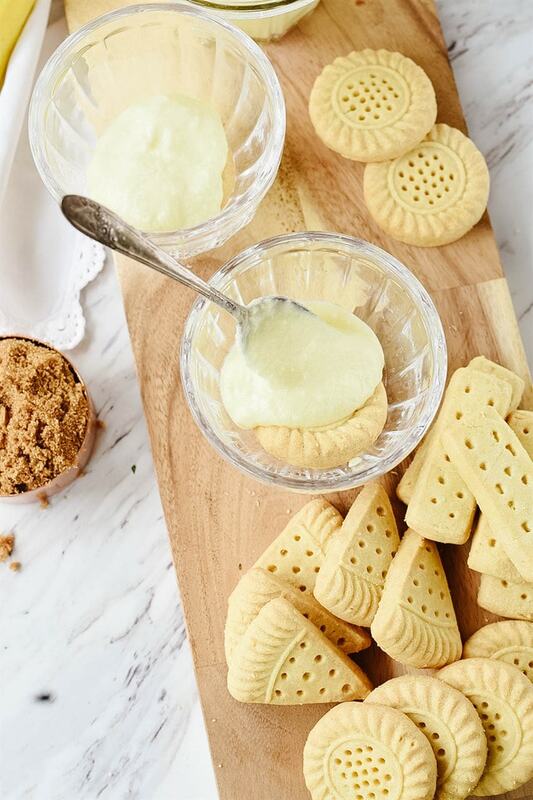 Place a layer, about 2 Tbsp of custard over the shortbread cookie. The next layer is the delicious Bananas Foster sauce. Then just repeat with another layer of shortbread, custard and Bananas Foster sauce. The final layer is a topping of freshly whipped cream, a spring of peppermint and another Walkers Shortbread cookie for garnish! The custard and Bananas Foster helps to soften up the shortbread. 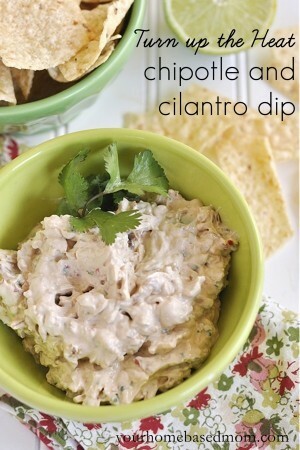 There is so much good flavor and texture happening in one place!! 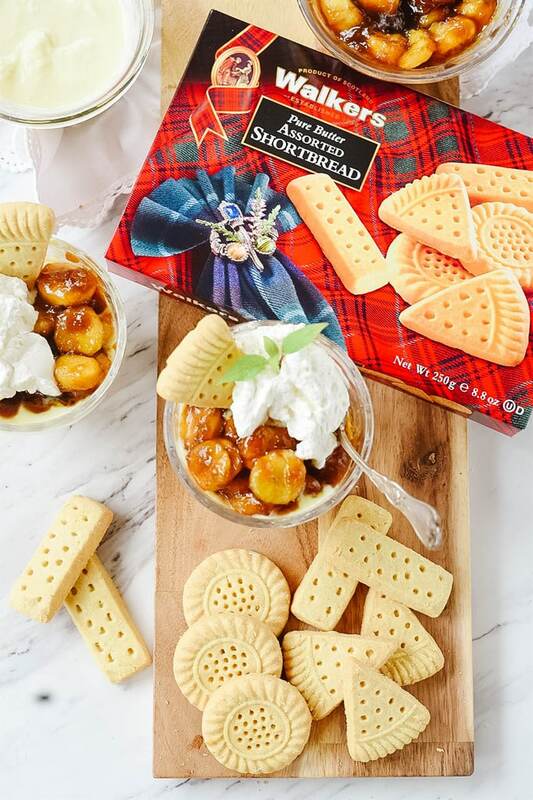 Walkers Shortbread is also the perfect holiday gift idea. 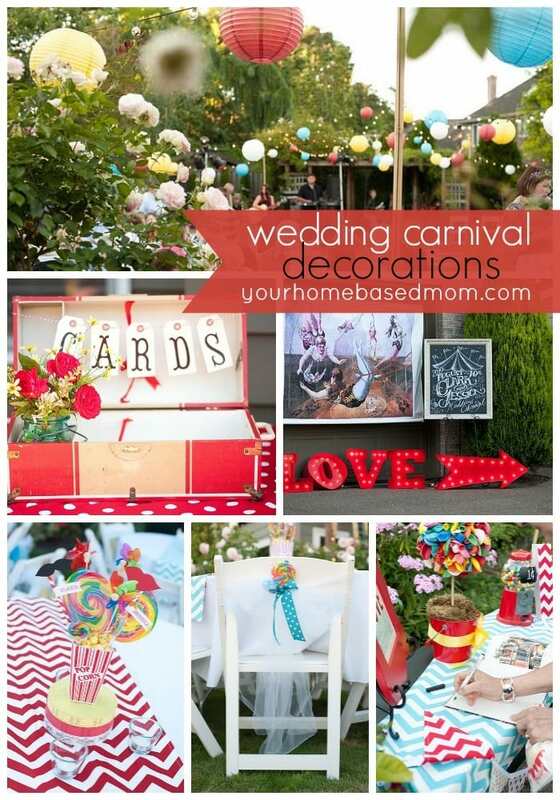 Be sure and check out some of the darling holiday gift ideas they have! 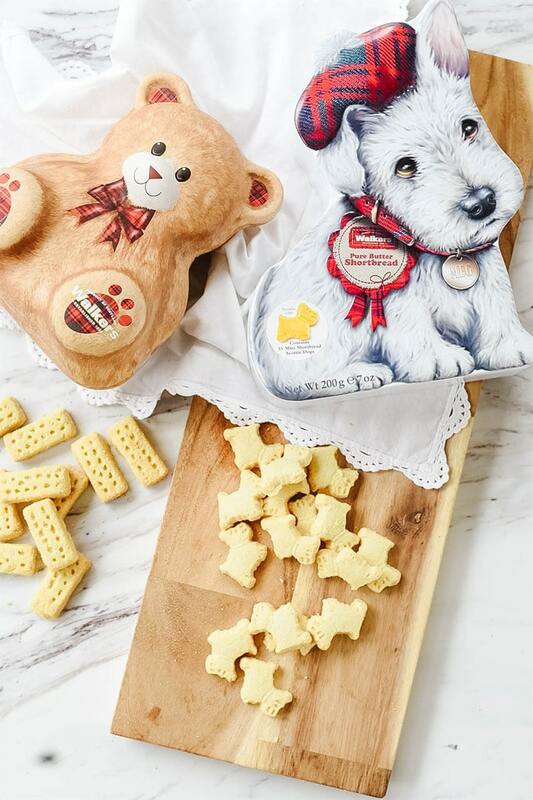 How cute are these little Wee Scottie Dog shortbreads!? 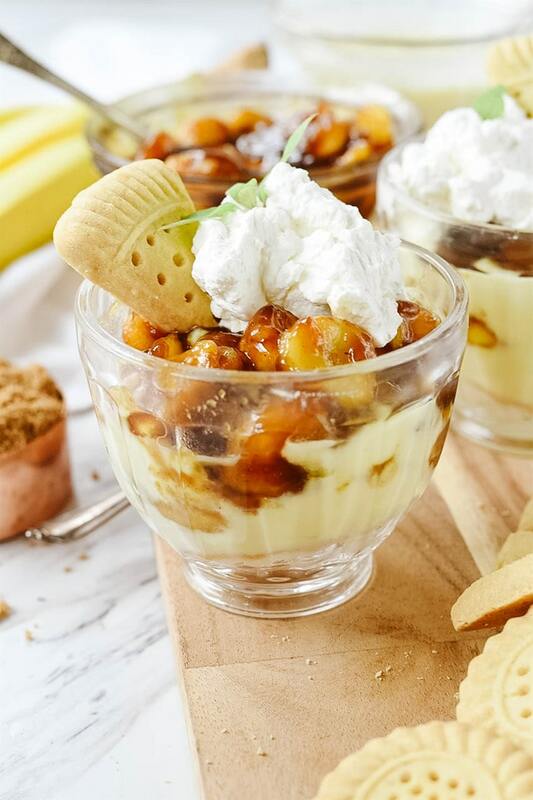 Bananas Foster Trifle is a delicious dessert that has layers of goodness. 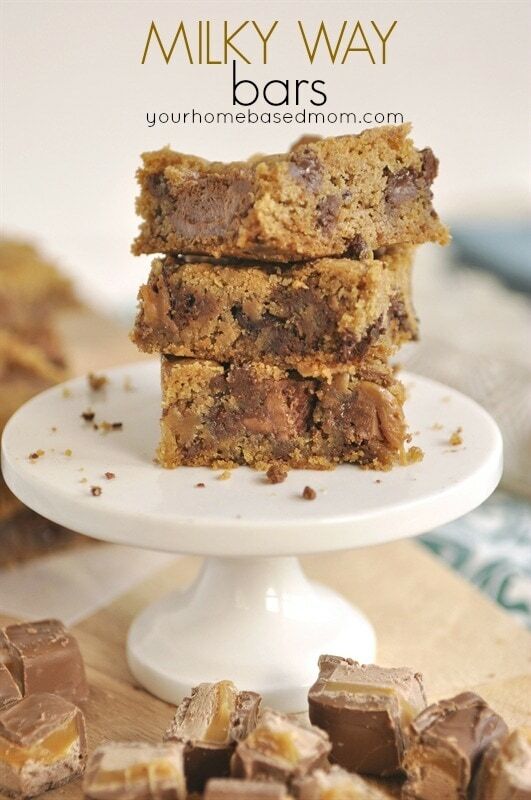 A shortbread cookie layer, custard and delicious bananas cooked in butter, brown sugar and cinnamon! Bring milk and cream to a simmer on low heat. 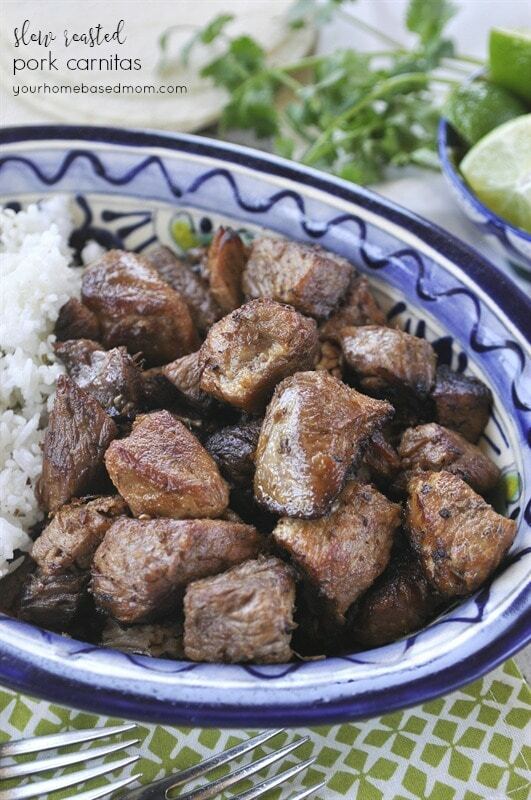 Mix together sugar and cornstarch in a bowl. Add in egg yolks and mix well. Slowly add some of the warm milk into the egg/sugar mixture, stirring so the egg doesn't cook. Add in remaining egg mixture. Add in vanilla. Return mixture to saucepan and stir until thickened. Chill. In a skillet over medium heat, melt butter with sugar and cinnamon. Add sliced bananas to skillet and cook for about 2 minutes. Stirring to coat bananas with sauce. 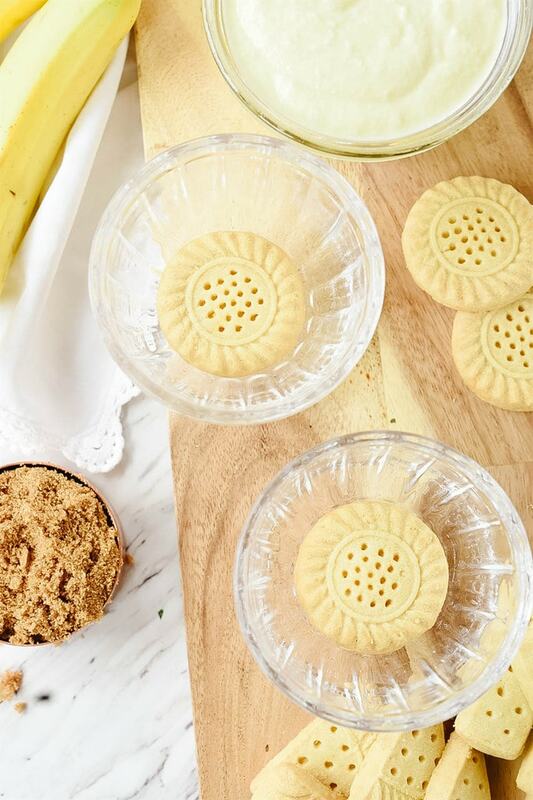 Place one shortbread cookie in bottom of individual serving bowls. Add 2 Tbsp custard and a few spoonfuls of bananas foster sauce. Repeat again starting with another cookie. When do you add the rum to the banana foster sauce?